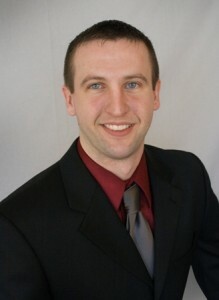 Herbein offered a free seminar on "What You Need to Know about Soliciting in 2012" this past June 14th. A combination of the topic and Herbein speakers Linda S. Himeback, Jane L. Cole and Christopher M. Turtell made for a great turnout! For those that were unable to attend the seminar, Herbein's Nick Bieber blogged about this hot topic! A fundraising rule of thumb is that funds raised should be three times the cost. If a fundraiser consistently provides profits much less than this, it should be reevaluated to see where changes can be made to increase profits or if it is worth running at all. Organizations must respect the privacy of donors and safeguard the confidentiality of information. If a donor asks to remain anonymous in name or dollar amount of gift or to be removed from mailing solicitation lists those wishes must be respected. If requested to provide a listing of major donors for grant or other purposes, “individual donor” or “local business” would be appropriate ways to prevent releasing that confidential information. Government entities are frequently asked to provide a tax-exempt number or “determination” letter to prove its status as a “tax-exempt” or charitable entity. As a special service to government entities, the IRS will issue a “governmental information letter” free of charge. Most organizations and individuals will accept this letter as the substantiation they need. Government entities can request a governmental information letter by calling 1-877-829-5500. A statement that no goods or services were provided in return for the contribution or a good faith estimate of the value of goods or services provided. For contributions exceeding $75 for which goods or services are provided the organization must provide written disclosure to the donor that provides a good faith estimate and informs the donor that the deductible contribution is limited to the amount contributed over the value of goods or services provided. Goods and services are considered insubstantial if the payment occurs within a fundraising campaign and the fair market value does not exceed the lesser of 2% of the contribution or $97; or the contribution is at least $48.50 and the item is no more than $9.70 and has the organization’s logo. If a third party is running the fundraising activity, ensure that you review the materials being used and understand what the overall details are. Proceeds given to the organization by the third party should be recorded as a contribution, not as special event revenue. Separate accounting should be performed for restricted contributions and related expenses. You should always have proper documentation to show a donor where the restricted contribution was spent and how you felt it was allowable. Continue to evaluate control policies and procedures in place. They should allow for effective yet efficient receipt, recording and tracking of contributions. Consider a lockbox or acceptance of credit cards for donations. All events or solicitations should be in-line with the mission of the organization and represent the organization’s vision. Thank you to our seminar speakers and attendees for making this seminar a success. One comment we received was: "Excellent presentation! This information was timely and will help us improve our procedures!" We look forward to continuing these seminars to benefit our clients and friends! For additional information on this topic please contact the author Nick L. Bieber, or speaker presenters: Linda S. Himeback, Jane L. Cole and Christopher M. Turtell.